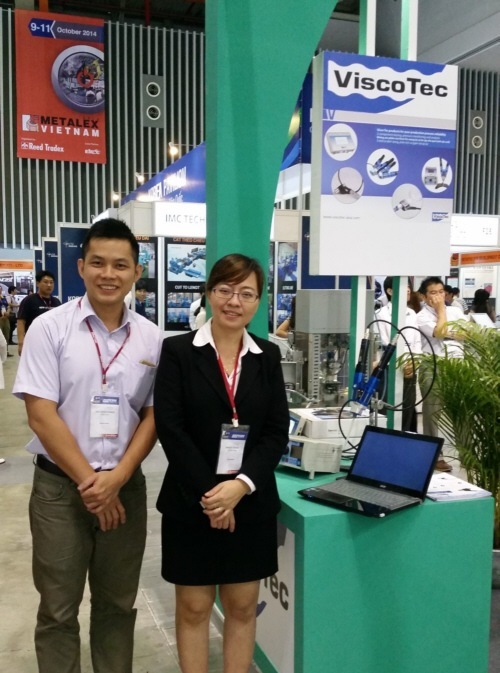 NEPCON Vietnam is the leading electronics & Equipment- Exhibition for Vietnam. ViscoTec Asia has presented the new Flowplus, Flowscreen, EcoDUO-600 and the new 2-Component-System VisCompact. Vietnam is one of the favorites pricipal markets in South-East Asia for ViscoTec and Nepcon Vietnam is a very important point of beginning to reach customers in Vietnam.